I have it on good word that Little Witch Academia is a good anime. I haven’t watched it myself, so take that with the pinch of salt all anime recommendations require. If it’s something you like, or are at least interested in, you should be happy to hear that Little Witch Academia: Chamber of Time is coming to PC in early 2018. Maybe Little Witch Academia: Chamber of Time will make it onto our list of the best RPGs on PC? It’s described as a 3D action-RPG beat-‘em-up, so perhaps you’ll get to beat the life out of gods and kings as a witch schoolgirl. Because, why not? The image above gives some idea of what goes on, but there’s no trailer or gameplay footage yet. 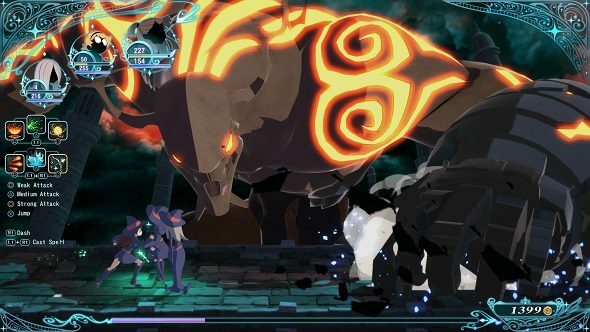 While featuring characters from the show, Little Witch Academia: Chamber of Time is going to have “original storylines,” so you may not need a whole lot of background knowledge to play. You probably should, though. It’s an anime game – the plot could go in any and all directions.